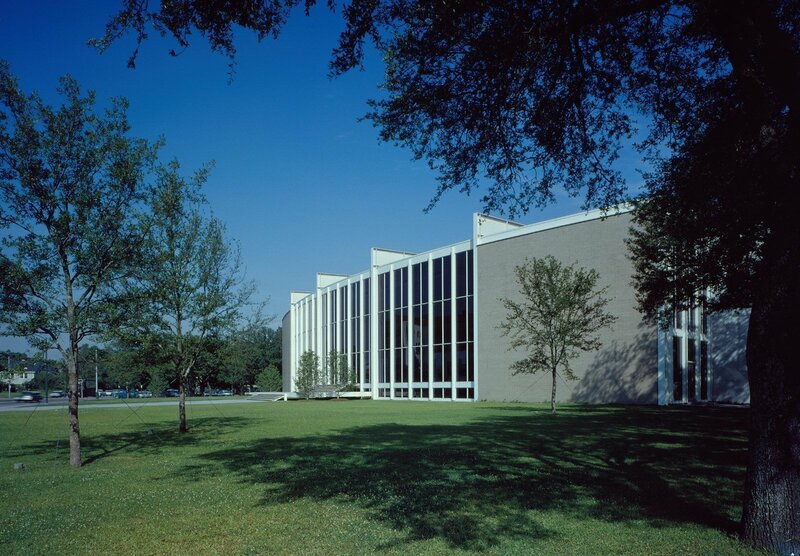 In 1953, Nina J. Cullinan gifted a building addition to Houston's Museum of Fine Arts as a memorial for her parents. Her only stipulation was that it had to be designed by an architect of "outstanding reputation and wide experience." After being selected for the commission, Mies arrived in Houston on a hot summer day and rejected the idea of a standard open museum courtyard by remarking, "But in this climate, you cannot want an open patio."